Whether you have kids, pets, or regularly host family and friends, you know first-handily that your carpets, rugs, and upholstered furniture get worn out. Stains, dust, germs, pollen, blemishes become unavoidable. On The Spot Carpet Cleaning is Erie's most affordable carpet cleaning company that specializes in residential and commercial carpet cleaning, upholstery cleaning, flood and water cleanup, pet odor removal, and more. One thing that sets us apart from other companies is that we don't waste time or money on fancy laser measurement equipment that measure a room. We charge a standard fee per room, saving you more money. 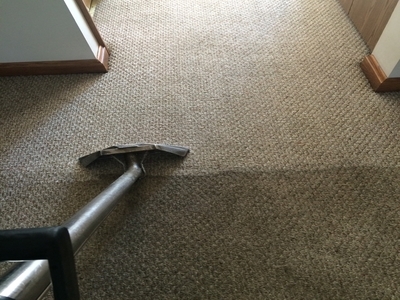 We provide cheap professional carpet cleaning in Erie, PA that are of high quality, which thoroughly but gently clean the deepest stains in a way that leaves your home healthier and safe for everyone. From start to finish, we employ all natural, green-certified and eco-friendly, steam cleaning that removes bacteria and germs for a deep-down and healthier clean that dries faster, and strongly resists re-soiling. Our professional cleaners use specialized extraction equipment to remove all dirt, stains, dust, and allergens trapped in your home carpeting and upholstered furniture, leaving them cleaner, brighter, and healthier. Contact us and we'll send an expert to clean and inspect your carpets or upholstered furniture. After our cleaning process is complete, we ensure your surfaces dry quickly so you can utilize them as soon as possible.